If you live in New Jersey or the surrounding area, you know what harsh winter weather can look like and how difficult driving can be in the ice and snow. But winter driving can be heavily aided by owning the right vehicle to combat difficult road conditions. And for those who want to be safe on the road during the winter but don’t want to sacrifice driving luxuriously, there’s the perfect car out there for you and you’ll be searching for the nearest Chrysler car dealership after reading this post. The Chrysler 300 not only allows you to ride in style, it also handles treacherous road conditions and keeps you safer in the winter than other luxury vehicles of its kind. 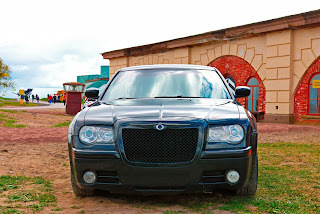 Performance: You won’t find another vehicle in its class that has the type of performance provided by the Chrysler 300. The luxury sedan’s all-wheel drive system offers smooth shift transitions and incredible handling as all four wheels work together to get you where you’re going. This type of performance makes for a flawless ride in any road conditions, but you’ll appreciate it most in the winter. Efficiency: The Chrysler 300 doesn’t always have to drive in all-wheel drive. It can seamlessly transfer between rear-wheel drive (RWD) and all-wheel drive (AWD) to adapt to any and all road conditions. The ability to transfer into RWD gives the Chrysler 300 a best-in-class combined fuel economy for AWD full-size sedans. Traction Control: Chrysler 300s feature two pieces of technology that help keep you safe on the road during winter weather. This intelligent AWD luxury sedan has an Active Transfer Case and Axle Disconnect, which continuously monitor wheel revolutions and apply automatic brakes to a slipping tire while simultaneously adding torque to opposing tires to keep the vehicle moving forward. Stability: When road conditions are optimal and the Chrysler 300 is in rear-wheel drive, this luxury sedan provides a stable and smooth ride. But even when the vehicle senses hazardous conditions like ice and snow and shifts into all-wheel drive mode, the Chrysler 300 offers amazing traction and sense of security to its drivers. So don’t give up luxury or safety this winter. Purchase a Chrysler 300 to have your cake and eat it too! What is Required for Vehicle Financing?